So this is the end of my fantastic trip exploring and learning more about my home country New Zealand. Sightseeing, interviewing and learning about the native people and animals/mammals in New Zealand and so much more. 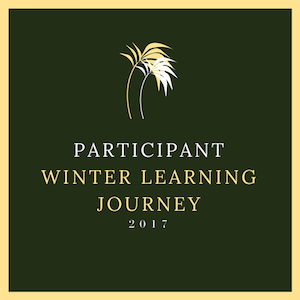 I would like to thank Rachel and some other people who have set up the winter learning journey for all Manaiakalani kids to blog in the holidays and go look and comment on other peoples blog. So huge shout out to those people. Also good luck to everyone who has competed in the winter learning journey and I wish you guys the very best. What I've learnt in the holidays? So I've been catching up with my maths and writing. I figured that I needed to work extra hard this term and so by practicing what I'm really bad at will help me instead of using the calculator (that other people use). What I've learnt during my trip? I've learnt that we have more to New Zealand than meets thy eye. Like for example I never knew that we had dolphins that were only found in New Zealand called the Hector dolphin, learning about the most amazing places to visit like Tane Mahuta or Rangitoto. Anyway that's what I've learnt during my free time and the winter learning journey programme. What I disliked about it? I have no dislikes about anything, everything was great even during this really wet and cold weather. What surprised me on my journey? Well everything surprised me and I couldn't remember all the things that surprised me because there are too many to count. That's the end and I hope you enjoyed being on my journey with me, and also I hope that it was fun for you as it was fun for me. Again huge thanks to Rachel and her team for putting all of this together. KA KITE ANO!!! I am thrilled to read that you enjoyed your trip around New Zealand. It really is a pretty spectacular place (in my opinion)! I think that we're really lucky to live here and to have the chance to visit beautiful places like Rangitoto, Tane Mahuta and Farewell Spit. Speaking of visiting, I am really excited because I have the chance to visit Pt England school on Friday to hand out the certificates and prizes for the Winter Learning Journey programme.